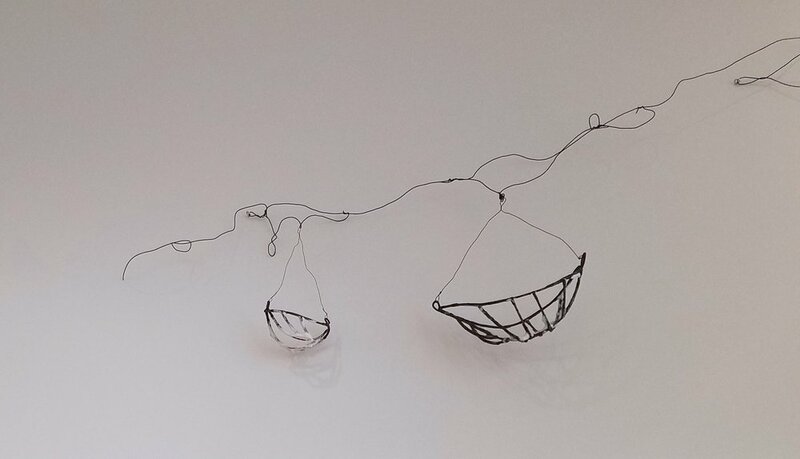 Multiple hanging vessels capture a moment reminiscent of a simple snapshot or fragment caught in periphery. They explore space with the movement of a flock of birds or bats, a school of fish, group of boats or hovering, falling leaves. 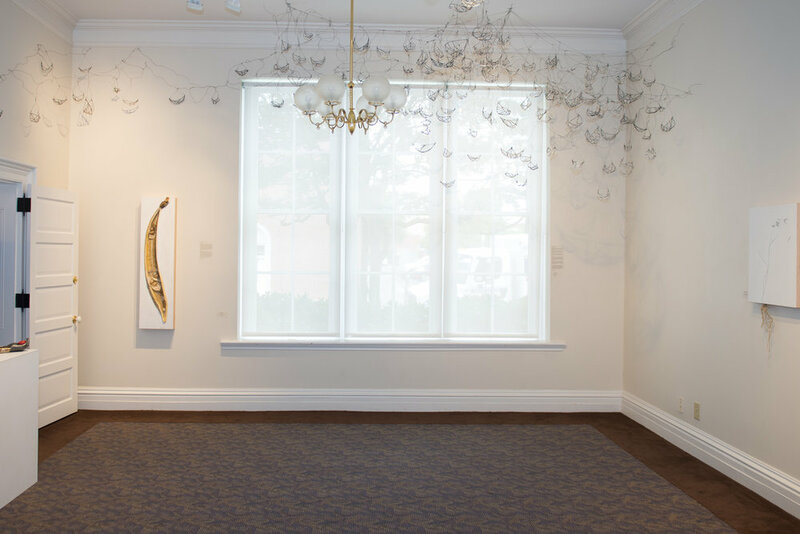 This installation of Passages was part of the Invitational Exhibition, Place / Settings at The Galleries, in the Cabarrus Arts Council in Concord, NC. 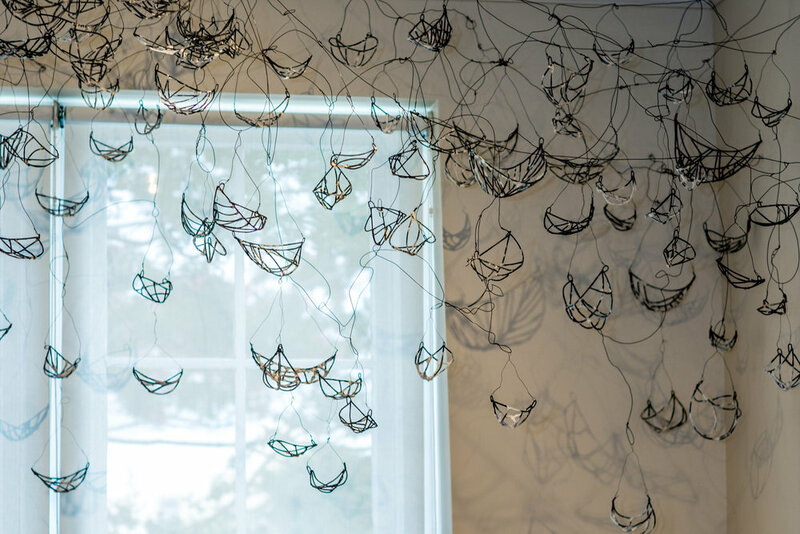 This exhibition highlighted the artwork of 12 Wyoming women, curated by Rebecca Collins and Rebecca Norman. From the 4 woman exhibition, Inhabiting. 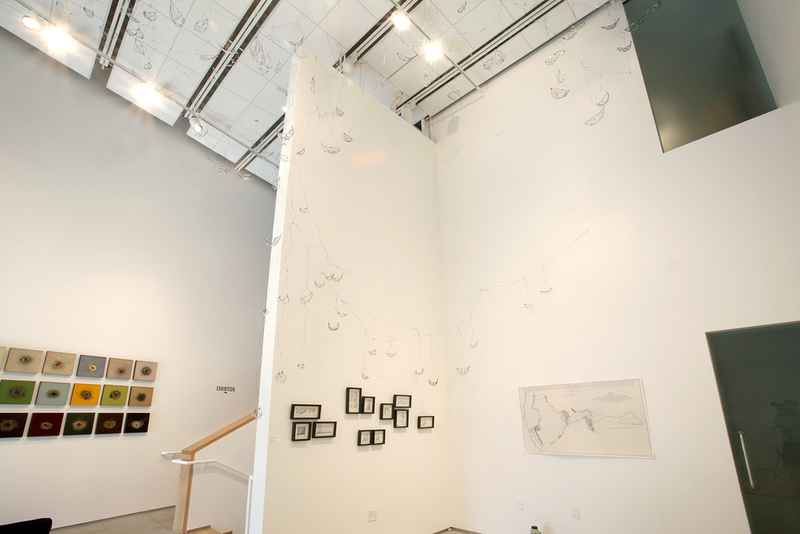 I curated this exhibition in 2012 as a celebration of installation art and the process of installing. The exhibition was on display at the Art Association of Jackson Hole and also included: Ruth Boerefijn, Lindsey Glover and Mayme Kratz. 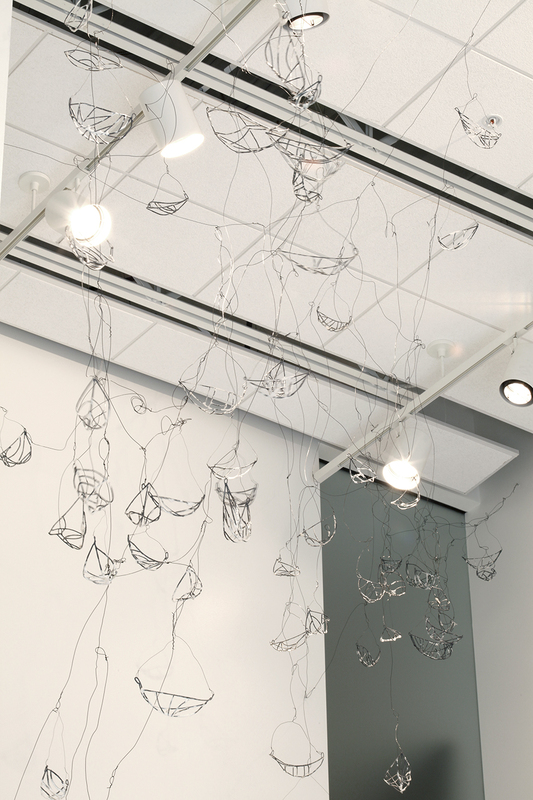 Lines of black wire and thread connect vessels from one room to another. They hover near graphite outlines of furniture with drawers of ghostly vellum and white shadowy objects. These seemingly valuable objects obsessively collected and contained refer to the Greek myth of Charon, the ferryman of Hades. In exchange for passage to the world of the dead a coin was placed in or on the mouth of the deceased. These collected objects are offerings and gestures, precious objects tucked away.